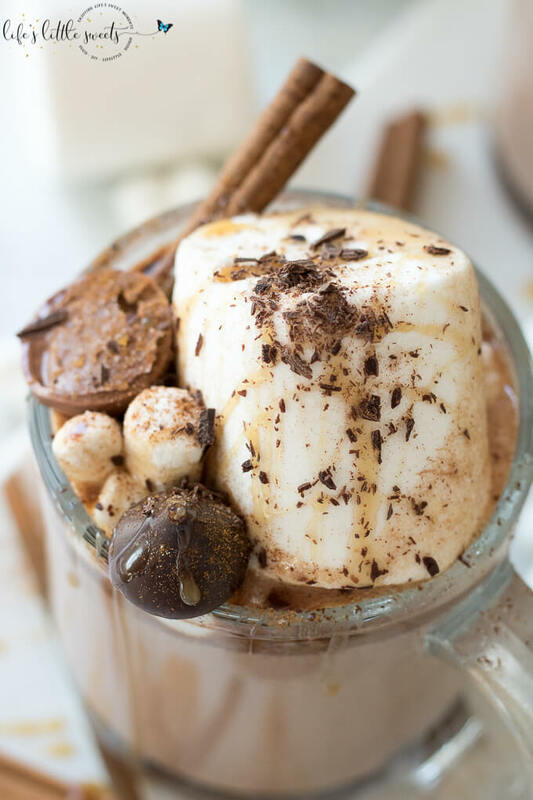 This Epic Slow Cooker Hot Chocolate is waiting for you and warms you up when you come in from the cold. It has decadent chocolate flavor, topped with marshmallows, shaved chocolate, cinnamon sticks, caramel syrup & chocolate candies. In your slow cooker, add the unsweetened cocoa, chocolate (unsweetened or bittersweet) and sweetened condensed milk. Cook on HIGH for 30 minutes or until chocolate is melted. After 30 minutes, using a whisk, mix ingredients and add the heavy cream. Add 6 cups milk and pure vanilla extract and then whisk. Cook on HIGH for 2 more hours or until it's hot. 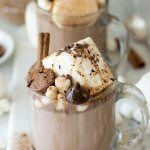 Add your favorite toppings like marshmallows, spice mixtures, syrups and top with candies, enjoy! This recipe requires a slow cooker. 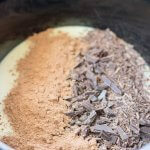 Tip: Keep a whisk close by the slow cooker so that you can mix the hot chocolate so it's smooth before serving.